Zinedine Zidane has reportedly agreed to return to Real Madrid, despite having only left the Spanish giants at the end of last season. According to Mundo Deportivo, via La Sexta, it’s claimed that Santiago Solari could be fired as early as this afternoon, with the French icon being appointed as his replacement. It’s added that club president Florentino Perez favoured either Zidane or Jose Mourinho to step in, but it would appear as though it’s the former who will return for a second stint in charge with Spanish football expert Guillem Balague also noting in his tweet below that the French tactician will take charge of training on Tuesday. Zidane enjoyed a trophy-laden spell at the Bernabeu between 2016 and 2018, winning a La Liga title as well as three consecutive Champions League trophies. However, things have taken a turn for the worse since he departed, with Real Madrid also losing talisman Cristiano Ronaldo last summer while they face the very real threat of ending this campaign empty-handed after crashing out of the Copa del Rey and Champions League this month. Further, they sit 12 points adrift of La Liga leaders Barcelona with 11 games remaining, and so it looks as though there is little to salvage from this season. That is arguably what makes Zidane’s return all the more surprising, as after such an impressive and successful previous stint, he now appears to be walking into a very different job that will have major challenges moving forward. With ageing stalwarts to replace and a squad’s confidence and belief to rebuild, Perez will be hoping that Zidane’s return can inspire them back into top form moving forward and get the club back on track. 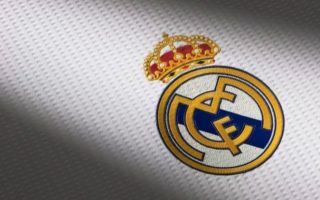 However, there has yet to be an official announcement about the move, so time will tell if Zidane is all set to try and lead a resurgence at the Bernabeu.